The soundtrack of the FIFA series is eagerly awaited every year. After all, these are not just about music, the music playing in the background. They must fit well in the game and transporting the perfect mood for victory or defeat. 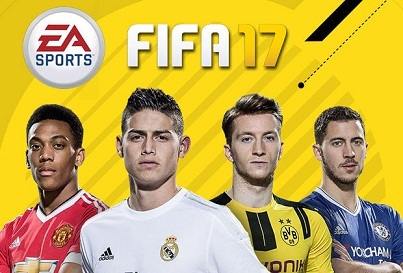 In this Special to FIFA 17, we show you the complete soundtrack for this year's part of the sport game. The soundtrack of FIFA 17 has a hint of very electronic - that includes exclusive tracks from DJ Zedd and Paul Kalkbrenner. But more famous artists are still on the soundtrack alongside the two DJs. For example, Bastille, Beck, Capital Cities, Digitalism, Empire Of The Sun, Kygo, Porter Robinson, Saint Motel and Two Door Cinema Club. If you have found some bands which you don’t know yet, that's no problem because over the years, the FIFA series has helped to push newcomers. Below you find all songs that have been confirmed so far. Spring King - Who Are You?